New patch is up for download today made by our founder Damien!He prepared a sponsor patch that will make your FIFA 11 manager mode a bit more realisitic! The patch contains 42 new sponsors for FIFA 11 Manager Mode! 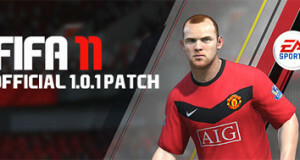 The first PATCH for FIFA 11 PC by MONKEYDRAGON. For those who want to be “millionaire” at MANAGER MODE – download and apply TICKET PATCH now.